The Racine County Sheriff's Office is committed to preventing prescription drug abuse by collecting unused and unwanted prescription drugs. The usual methods for disposing of unused medicines pose potential safety and health hazards. Residents can anonymously drop off all medications for disposal at the collection sites listed below. Safe disposal of these medications is critical in proventing these drugs from falling into the wrong hands. There is no charge for this service. For more information about preventing prescription painkiller abuse, go to http://doseofrealitywi.gov/. 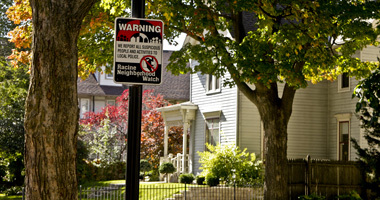 Racine Neighborhood Watch, Inc. (RNW) is a registered 501(c)3 organization founded in 1981 to organize and empower residents to take responsibility for their neighborhoods. 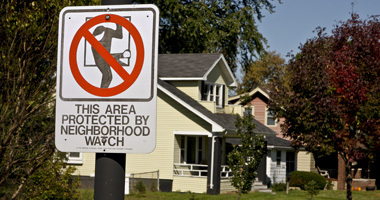 Our mission is to assist residents in creating safe, friendly and attractive neighborhoods throughout the Racine community. Through longstanding partnerships with local and regional law enforcement, local officials and other agencies, we have helped residents in formerly troubled areas reclaim their neighborhoods, as borne out by large decreases in violent crime in central city areas in recent years. Crime prevention and quality of life concerns are important to all residents. 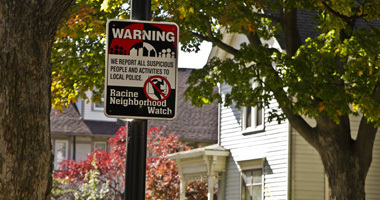 RNW has held about 800 block watch meetings; currently there are nearly 350 active blocks throughout the Racine community. We host monthly neighborhood meetings, most of which are held at COP Houses throughout the City of Racine and the Village of Mount Pleasant. We also do neighborhood advocacy and community-building projects. RNW serves the Racine-area community and Racine County, with a focus on low-to-moderate income areas. Since 1982, National Night Out has been an annual community-building campaign that promotes police-community partnerships and neighborhood camaraderie to make our neighborhoods safer, better places to live. On August 1, 2017, Racine held its 26th annual NNO! There were more than 60 registered events which hosted more than 6,000 people! The National Night Out program culminates annually on the first Tuesday of August so register now the celebration of National Night Out in your neighborhood on August 7, 2018! 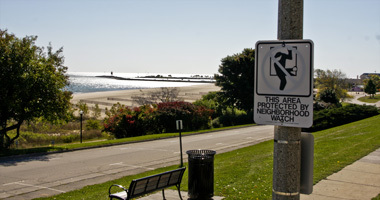 Racine Neighborhood Watch is the exclusive organizer for the Racine location of the nationwide Group Workcamp (GW) program run by Group Cares, Inc. of Loveland, Colorado. 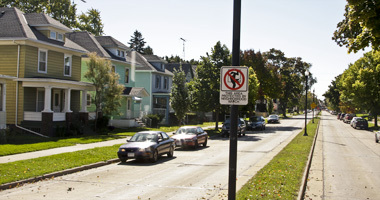 GW in Racine is unique, having assisted low-income or disabled city residents in improving over 1,000 homes in the last 19 years. Teams of teens from around the country with their adult supervisors work on homes in a designated area, helping those unable to perform the necessary improvements themselves. Each year in our combined programs, we work with about 7,000 residents in low-to moderate-income areas and another 3,000 local residents in other areas. 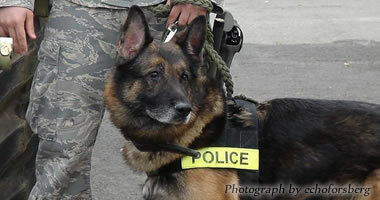 We have two full-time and one part-time paid staff and over 800 volunteers. We forge community partnerships ranging from our very well-known relationship with the Racine and Mount Pleasant Police Departments and other law enforcement agencies, to other municipal and County departments,many churches and community organizations too numerous to list. If it has to do with neighborhoods and community building, chances are good that RNW is involved. Our staying power is evident through the commitment we see in our block captains and people at neighborhood meetings, the many repeat events on National Night Out, the Group Workcamp applicants who rush their applications in, and the people who know they can call us anytime because we are there for them.